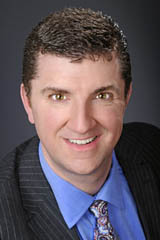 Scott T. Nagy has been appraising residential properties in Rhode Island and Massachusetts for the past 19 years. Prior to that Scott worked as a real estate salesperson for DiBiase Associates. He first began appraising in 1990 for Nyberg Associates, where he apprenticed under Leonard J. Nyberg, a long time respected appraiser, appraisal course instructor for the Appraisal Institute and author, with a respected appraisal firm in the Providence metro lending area. In the mid 1990's, Scott began working as a fee appraiser for several appraisal firms in Rhode Island, including, Keegan, New England Valuation, and East Bay Appraisal. By 1997, he was appraising exclusively as Senior Staff Appraiser for East Bay Appraisal, which was founded by Douglas W. Gablinske. Doug was actually trained by Scott at Nyberg Associates, where they first met. Their professional relationship has grown since then, and Scott was named a partner and Vice President of Training for East Bay Appraisal in 2002. Since then, he has taken on the added responsibilities of the companies appraisal review system, internal operations and been an integral part of the company's success and expansion into the rest of RI. Scott's professional appraisal experience is broad and varied. At Nyberg Associates he first trained by appraising property in all 39 RI cities and towns, and nearby Massachusetts. The firms work evolved, and became mostly concentrated in the Rhode Island metro city areas, where Scott became an expert by necessity of multi family, FHA and foreclosure appraisal assignments. Working for Nyberg and other appraisal firms, rounded out Scott's experience, as he is fully competent in all aspects of residential appraising. He is knowledgeable about all of Rhode Islands' neighborhood nuances, and can review assignments anywhere in RI. Scott personally appraises the high-end value markets for AppraiseRI.